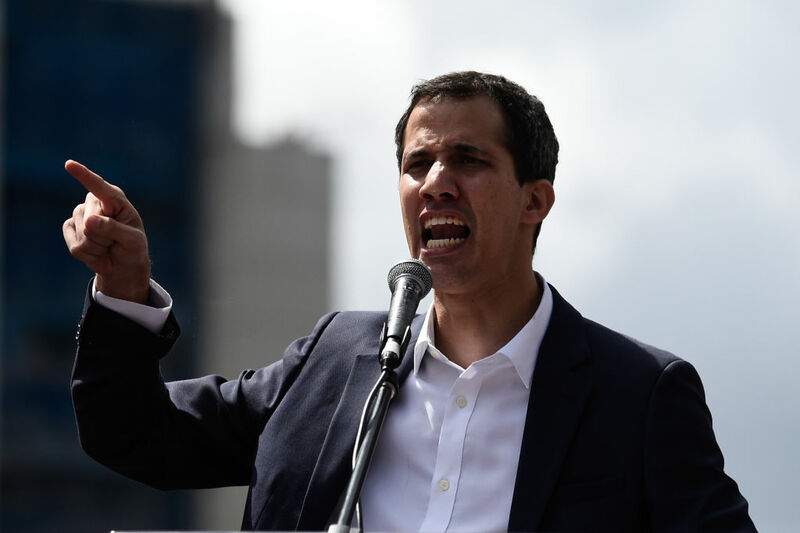 Venezuelan dictator Nicolás Maduro said he won’t step down after President Donald Trump recognized opposition leader Juan Guaidó as the interim president on Jan. 23. 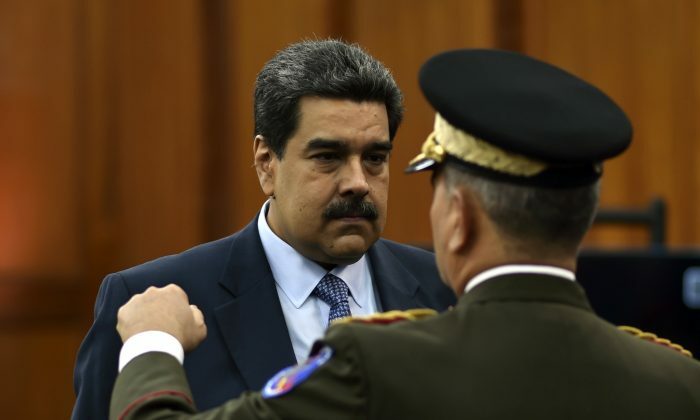 Meanwhile, the country’s exiled Supreme Court chairman told The Epoch Times that Venezuela’s military should “fulfill their duty” and detain Maduro. 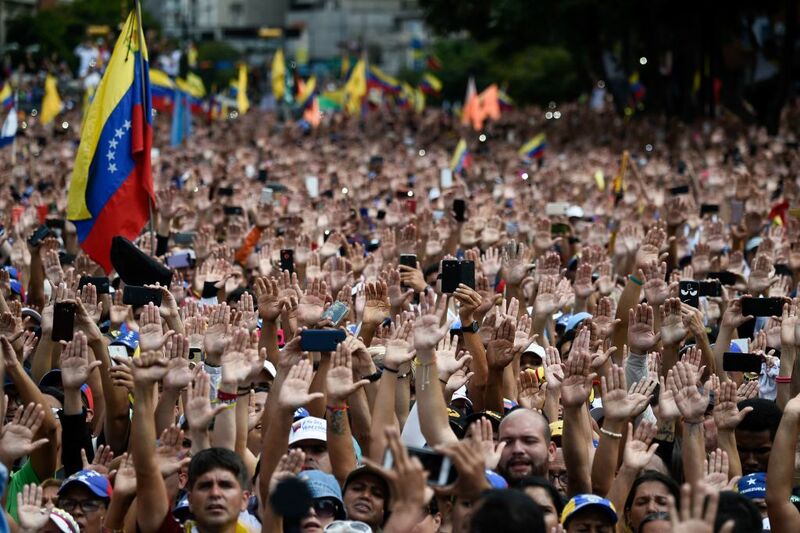 Speaking at a rally outside the Miraflores presidential palace in Caracas on Jan. 23, Maduro told supporters, “We are defending the right to the very existence of our Bolivarian republic,” and said they should resist what he described as a coup attempt. A day later, the Trump administration rejected the embattled Venezuelan strongman’s order that all Washington diplomats leave the country within 72 hours. Secretary of State Mike Pompeo said Maduro had no legal authority to make such a command as Washington pledged to keep diplomats inside the Latin American country. “The United States maintains diplomatic relations with Venezuela and will conduct our relations with Venezuela through the government of interim President Guaidó, who has invited our mission to remain in Venezuela,” Pompeo said in a statement on Jan. 24. Maduro, who gained power over the oil-rich nation in 2013, is now in the second term of a presidency won through illegitimate means. Socialist policies introduced by Maduro and his predecessor, Hugo Chavez, have crippled Venezuela in less than two decades. Food and medicine shortages, hyperinflation, and violent crime have driven more than 3 million Venezuelans out of the country, according to the U.N. refugee agency. The exiled chairman of the Supreme Court of Justice of Venezuela, Justice Miguel Angel Martin, said Maduro will soon face punishment for his crimes. “Maduro is a former president. Maduro has been convicted by the [exiled] court for a criminal offense, he has to serve a sentence, he has to be brought to justice, and we are waiting for the state security bodies to make the decision and have the determination to fulfill their constitutional duty,” Martin said. 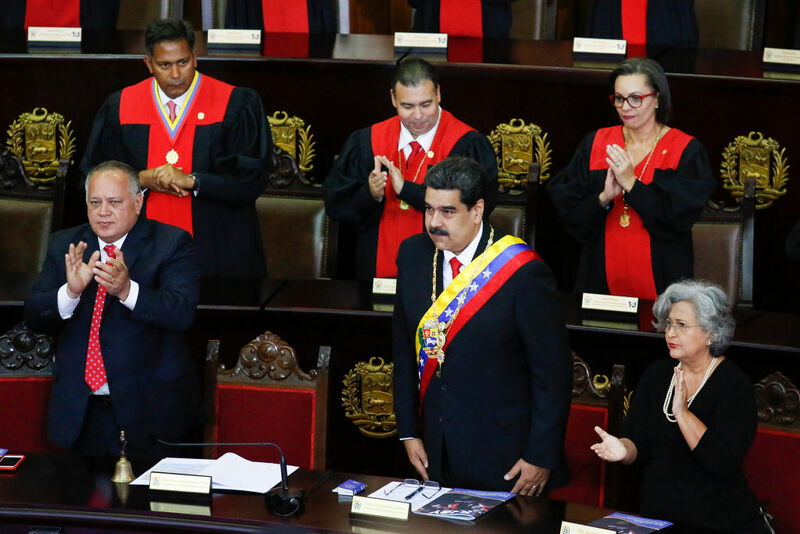 On Jan. 7, the Venezuelan Supreme Court released an official statement urging Maduro to hand over his “illegitimately exercised power” to the chairman of the National Assembly, whom Guaidó is the leader of. 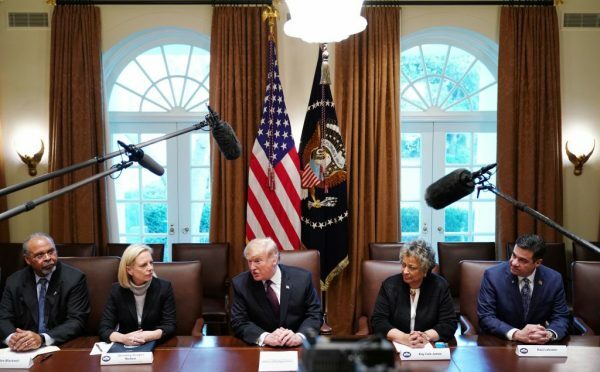 Trump’s declaration was backed by almost every country in Latin America and by most countries worldwide, including Canada, Colombia, Argentina, Brazil, Chile, Costa Rica, Ecuador, Guatemala, Honduras, Panama, Paraguay, and Peru. Bolivia, Cuba, and Mexico pledged their support for Maduro. The countries harbor socialist governments that are aligned with Venezuela’s socialist dictatorship. The collective international fallout comes after tens of thousands of Venezuelans across the country filled the streets in protest, calling for Maduro’s resignation. “What you’re doing is perfect, keep pushing harder,” Martin said of what the Trump administration and the mounting international pressure has done for Venezuela. On Twitter, Guaidó also expressed his gratitude to Trump on behalf of all Venezuelans. For years, Venezuela has been fed billions of dollars from both Russia and China, through loans and energy deals. On Jan. 24, Russian warned the United States not to the intervene militarily in Venezuela. “The greatest damage of this criminal organization is that it broke the social fabric. Not even post-war Europe experienced this,” Martin said. Martin added that millions of Venezuelan families have some of their children overseas. He said his own nephews are in different countries. The United States is warning Venezuela that “all options” will be considered if Maduro decides to use military force in the current standoff. “What we’re focusing on today is disconnecting the illegitimate Maduro regime from the source of its revenues,” he said. “Those revenues should go to the legitimate government. “Venezuela is in our hemisphere, I think we have a special responsibility here, and I think the president feels very strongly about it,” Bolton told reporters. Guaidó appears to have already taken the reins as president, as he sent a formal request on Jan. 24 for U.S. assistance to provide the people of Venezuela with immediate humanitarian relief.